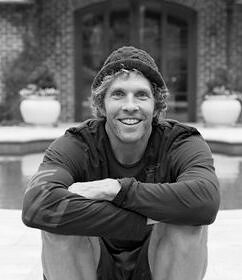 Jesse Itzler, 100 Mile Man. Former Rapper. Author. Entrepreneur. Business Speaker. The 40% rule – tapping into your reserve tank to dig deeper and go further than you thought possible! Importance of mental toughness and increasing your mental toughness meter. Get comfortable being uncomfortable –how to fight off complacency; get out of your comfort zone to get better. Jesse Itzler only eats fruit until noon, loves Run-D.M.C., and enjoys living life “out of the box,” actually, he doesn’t even have a box. He cofounded Marquis Jet, the world’s largest prepaid private jet card company in 2001, which he and his partner sold to Berkshire Hathaway/NetJets. He then helped pioneer the coconut water craze with Zico coconut water, which he and his partners sold to The Coca-Cola Company in 2013. When he is not running ultra marathons or being a dad to his four kids, Jesse can be found at the NBA’s Atlanta Hawks games, where he is an owner of the team. He is married to Spanx founder Sara Blakely and the couple and their 4 children live in Atlanta, Georgia.